What a great day! It began at Larson Elementary School. Students and staff were warm and welcoming as I found my place in the gym to present to about 400 Kindergarten thru 5th grade students. 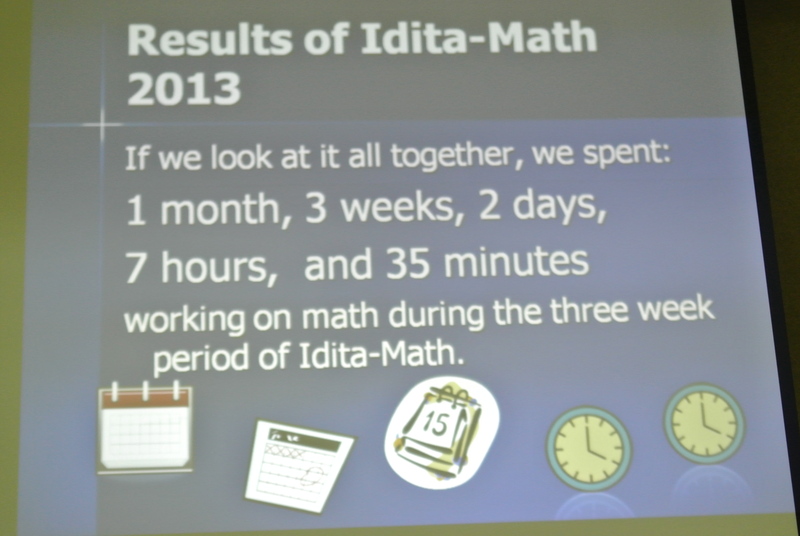 After my presentation, I was given the opportunity to be a part of their Idita-Math wrap up. Students studied math facts and competed against other classes for the most time spent studying their facts. This all culminated today as students quickly answered math facts in a relay against time and other classes. Congratulations to all the winning classes and to the entire school for putting forth the effort. 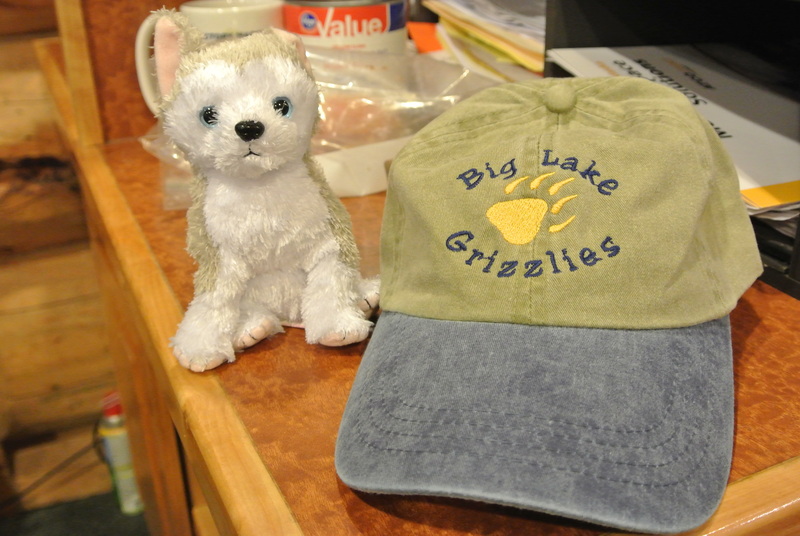 Thanks also to Mrs. Lamont for the Alaska gift bag. The books will be shared with my third grade students at the WLC. Next it was on to Big Lake Elementary where I spoke to 2 groups of 200 students. 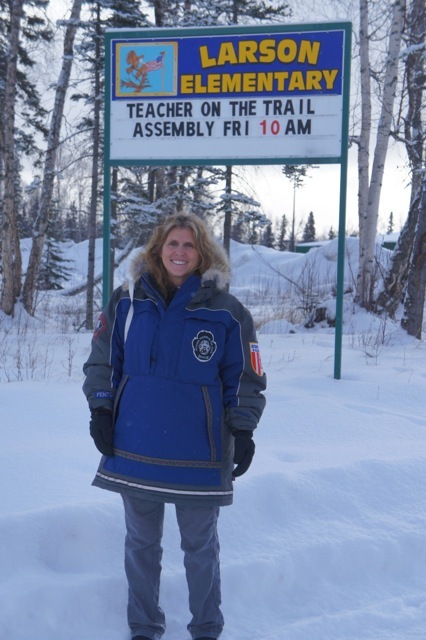 Students and staff were kind and courteous as I shared lessons on the Iditarod race, the Iditarod Air Force, and preparations for my adventure on the trail. I would also like to thank your principal, Mr. Simon, for the cap. It will be worn with pride by a grateful teacher.